When you head to an oyster fest, you go in expecting a high-level of awesomeness, and it only gets better when you also meet a fantastic beard. 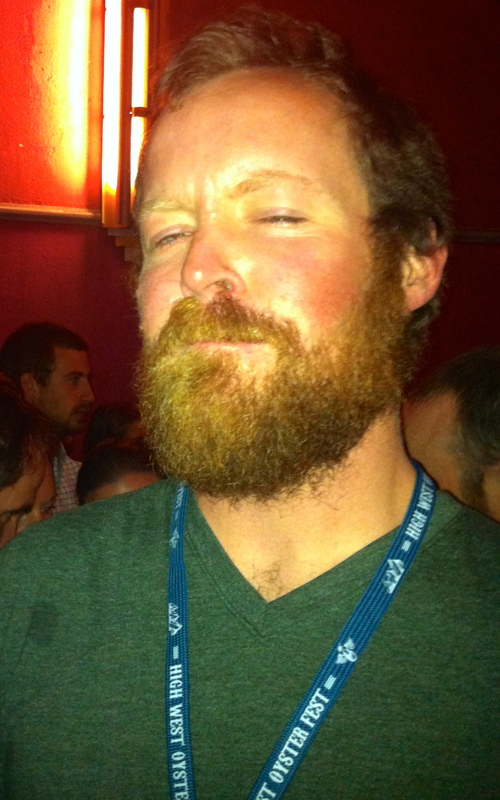 The ladies of Beards of Denver were lucky enough to encounter Dan while in line for said oysters at the Mile High Oyster Fest in Boulder a few weeks ago. From rural Kenosha, Wisconsin, Dan said his beard is stellar for many reasons, most importantly that it acts as a natural sunscreen when he snowboards. He’s been growing his beard since January, and he thinks he’s going to keep it around since it’s took a lot of work to get it to this stage. Dan and his lovely girlfriend Kat live in Boulder, and were Oyster-Fest VIPs; no messing around with good beards OR good oysters! They even shuck their own oysters at home. What we loved most about Dan (besides the oyster stain on his shirt) was the confidence he had about his beard and himself. In his words: “I’m handsome no matter what!” We think, even more so with that bountiful beard.